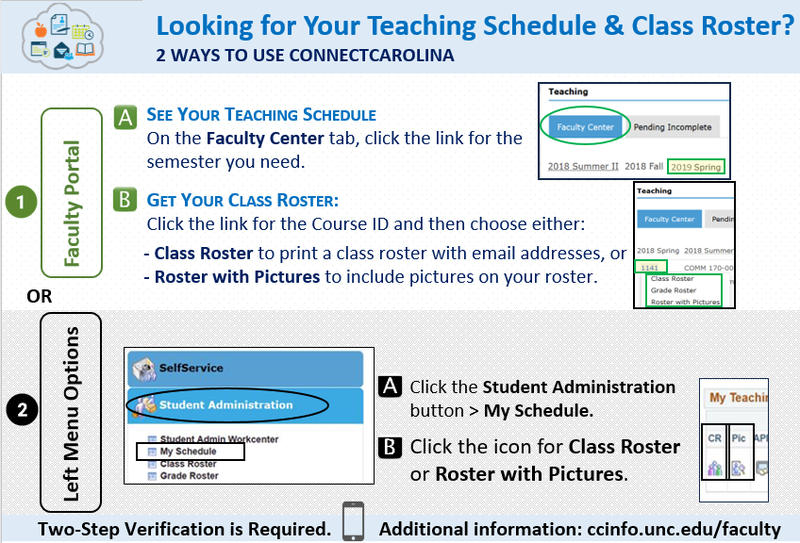 As you settle back into the swing of things, we’d like to share a quick refresher for accessing your Schedule and Class Roster in ConnectCarolina. For additional information on emailing students from the Faculty Center check out the Start of Semester Quick Start Guide on ccinfo.unc.edu/faculty/. Please contact help.unc.edu or 919-962-HELP if you have issues accessing your class information.